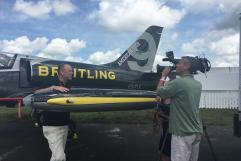 Centigrade PR supported the first year of the Breitling Jet Team’s American Tour with great success. Garnering coverage from all around the globe, Centigrade PR was pleased to lock-in national broadcast segments airing on NBC, Fox, CNN and CBS…to name a few! Targeted local and regional coverage was extensive in each market coordinating with the 20 air show performances in the U.S. and Canada including local media flying as passengers with the team, local news in-studio appearances and on-site interviews with the team and pilots. Top-tier and luxury premium outlets were hosted at more exclusive events including CNBC at a special event in Seattle where seven customers of the exclusive Breitling Jet Team Continental GT Speed took delivery of their bespoke vehicles as well as corresponding limited edition Chronomat 44 timepieces and passenger flights with their respective numbered pilots. National print coverage was also quite extensive including pieces in USA Today, Men’s Journal, Maxim, Wired, MSN, Forbes, Gear Patrol, Departures, AOPA Pilot, Flying, International Watch and more! To see a quick summary on the extensive coverage, please click the video above! 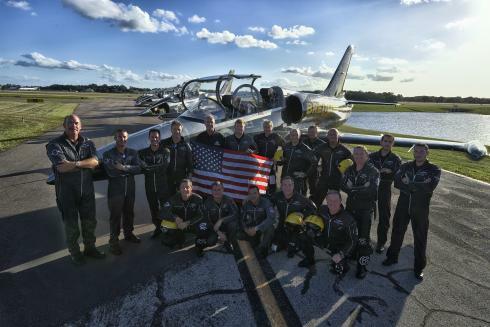 The Breitling Jet Team is the world’s largest professional civilian jet team performing around the world today. The team flies seven L-39 albatros jets at speeds up to 565 miles per hour, sometimes within only ten feet of each other. Due to the success of the inaugural year of the tour in 2015, the team has extended their American Tour and will continue impressing American and Canadian audiences into 2016!